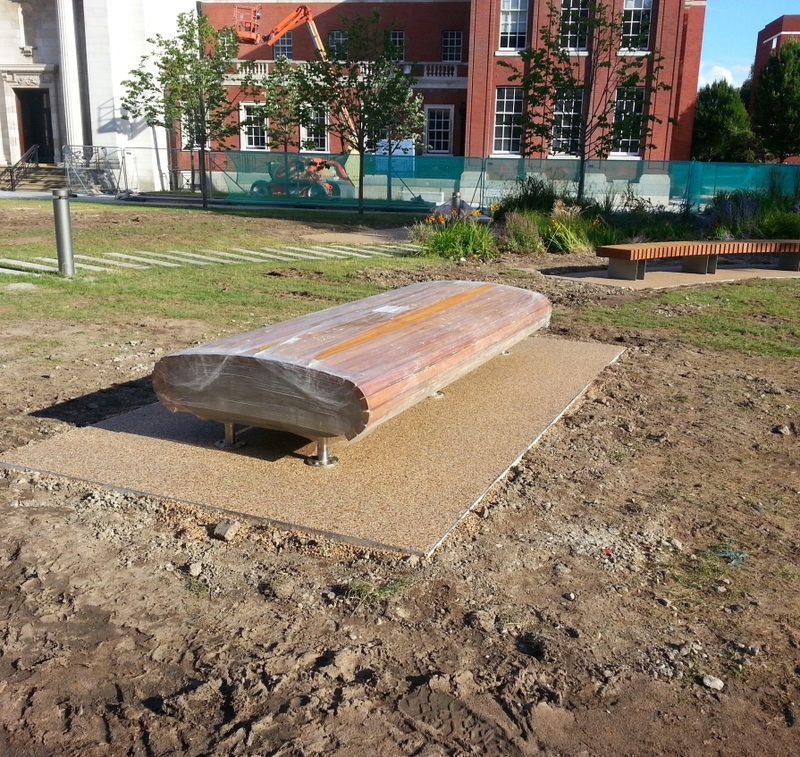 Woodscape Ltd are completing some the UK’s nicest public spaces through their hardwood street furniture. 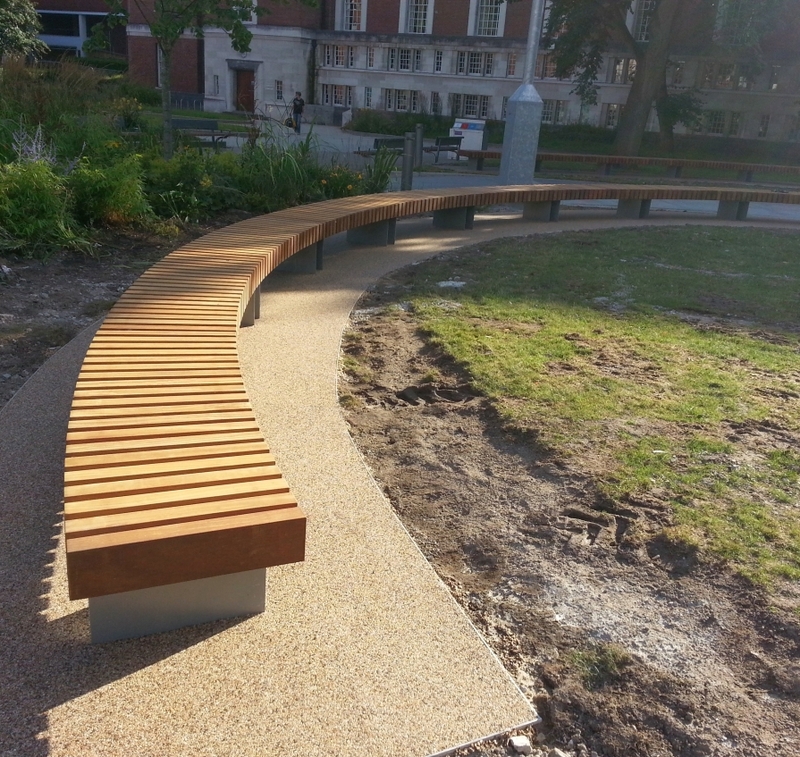 When completing the project at Manchester Univeristy they were also employed to complete the groundworks which inolved the pathways you see located beneath the furniture. 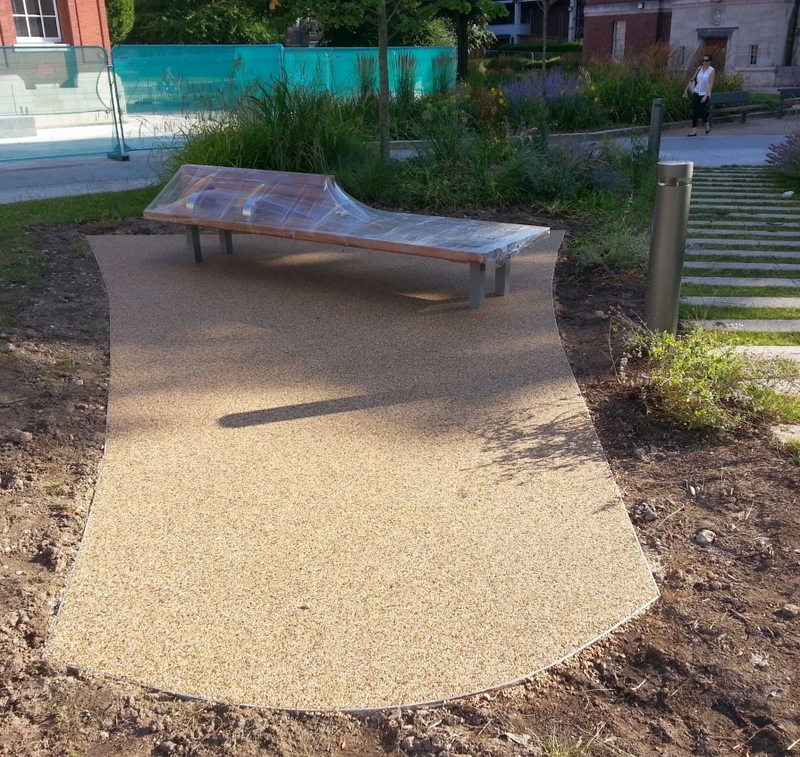 We were then awarded the project which included 50m² of resin bound stone in the aggregate colour 57 in UV stable resin with a depth of 20mm.